Half step, Mississippi uptown toodleloo. 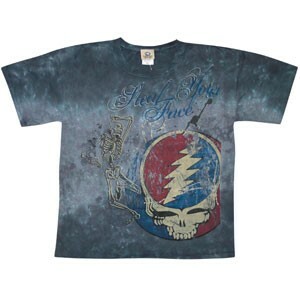 A tie dye Grateful Dead t-shirt that has a dancing skeleton over a distressed SYF logo. Officially licensed Grateful Dead merchandise.